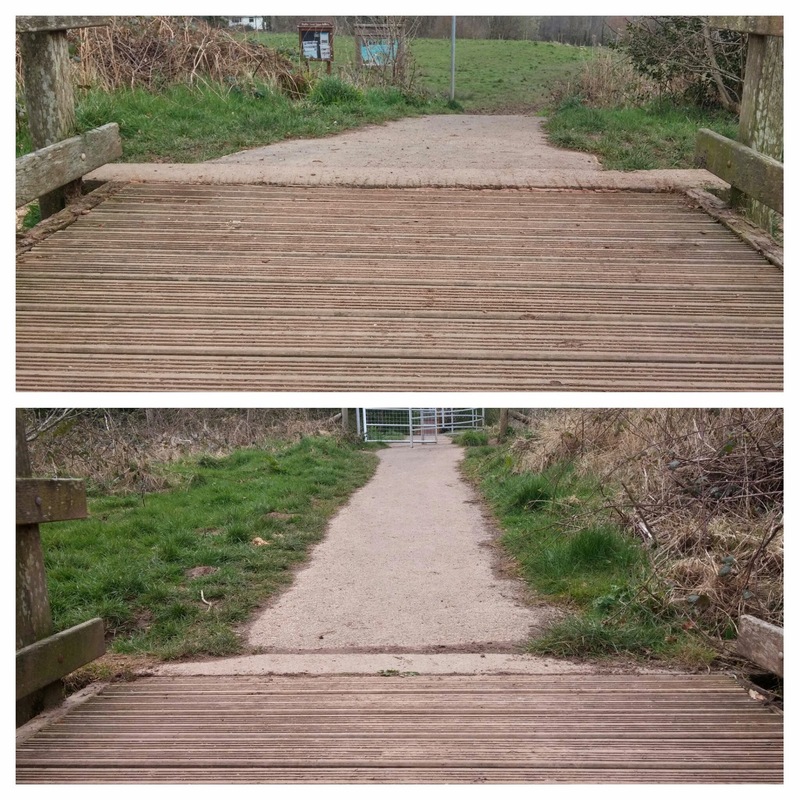 "The Council recently replaced the footbridge that provided access to rear of Birch Grove. It was decided to remove the bridge after an inspection revealed that the handrails on the footbridge had become unsafe. 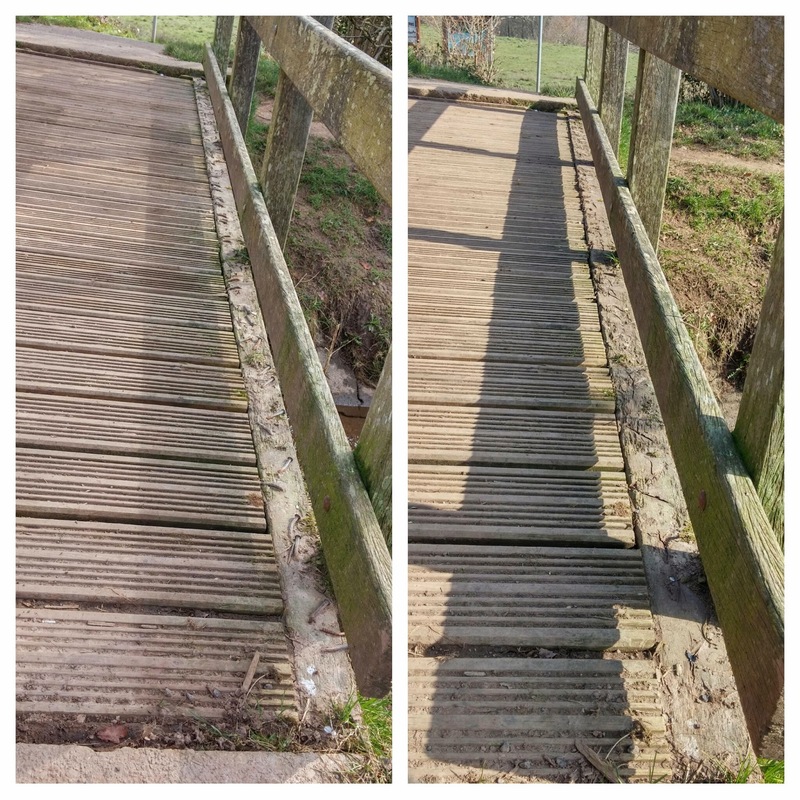 The inspection also revealed that the original footbridge , which had been built without Council consent, in its original position was a potential hazard has it was constructed adjacent to a considerable fall into the concrete channel. The Council decided that it would construct the new bridge upstream from the existing bridge where the fall into the channel would be reduced." So thank you to TCBC and their volunteers (of which two are 87 and 93 years of age) for putting this in at TCBC's cost. 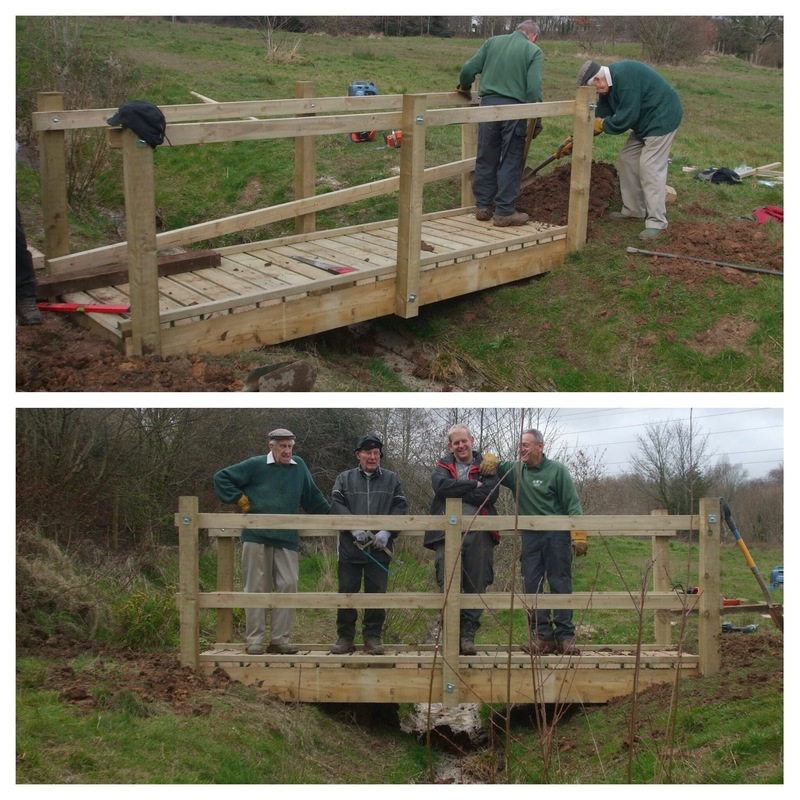 Ward and Community Councillors came on site and also agreed to the positioning of the bridge. 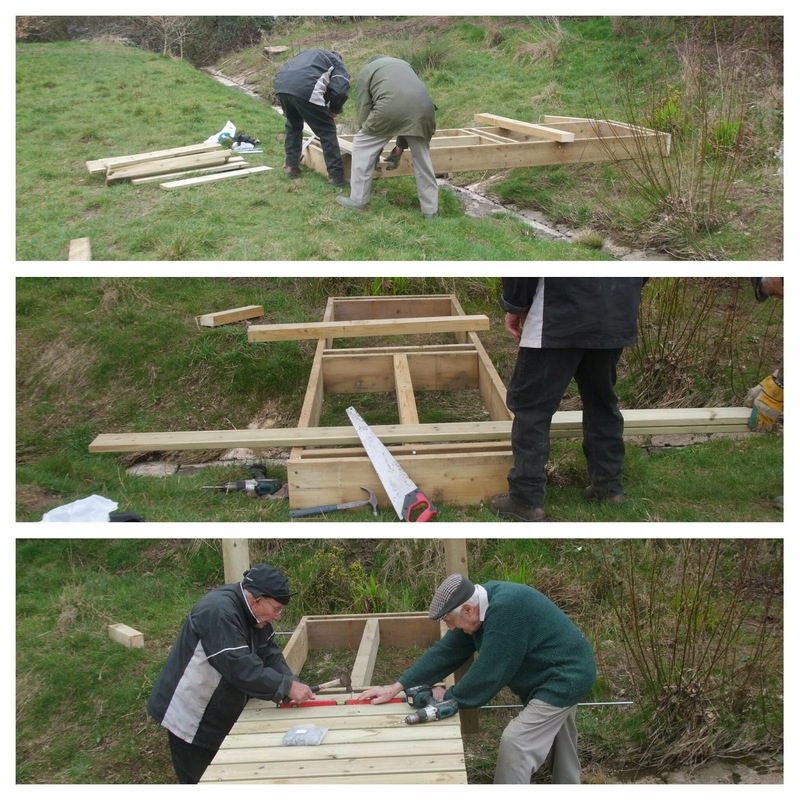 The Friends of Henllys LNR recently helped to unbounce the bouncy bridge near to the noticeboards. Part of the problem was that the original bridge was made from very thick non-FSC timber, probably from a rain forest and was rotting in parts. The new FSC-timber was quite a bit thinner and even following improvements left a small trip hazard, which most people didn't even realise. Anyway, in these "have you had an accident which was not your fault?" rife days (going back to the previous bridge), Brian [TCBC Rights of Way] came back and today jacked up the bridge enough to remove these trip hazards (the first few passers by didn't even notice). Ah, no trip hazard, cheers Brian. Finally for aesthetics, I disk cut off all the previously exposed nails. This was done before the bridge was jacked up and you can see the 1.5 inch lip.